Call a Loss Assessor First! If you have suffered damage to your personal or business property, before you call your insurance company, call Mid-West Assessors Ltd! We will work with you to ensure you do not end up out of pocket after your insurance claim. Insurance claims advice could make a big difference to you. Recent floods in Ireland have left many home and business owners worrying about what is covered in their insurance policies. Here at Mid-West Assessors we can review your policy to ensure you receive the maximum amount of compensation you are entitled to for your insurance claim. your existing policy to ensure you receive the maximum amount of compensation you are entitled to for the claim. a detailed written appraisal of the damage, which can include structural reports and personal property damage. with the insurance company. Meet with the insurance company representative assigned to your claim to ensure your best interests are served at all times. you of the current status of your claim and notify you whenever there is any progress. your insurance company of the claim, in writing. all forms required to process the claim. Mid-West Assessors is regulated by the Financial Regulator. All public loss assessors operating in Ireland are required to do so. Insurance companies will not fully represent your interests. If you submit the claim yourself you can be sure that the interests of the “company” will come first. This is not out of the ordinary, this is just “business”. The less they pay you, the more assets the “company” retains for its stockholders. Be assured that if an offer is made, it will, in most cases, be less than you are rightfully entitled to.Your InterestsRemember, the insurance company’s personnel are paid to protect the interests of the insurance company and not yours. 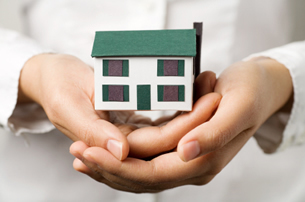 At Mid West Assessors, you are our client and your interests come first. Our expertise in managing claims will free you from the emotional and time consuming struggles with the insurance company. We know what to look for, how to talk the insurance language, and how to get results. Best of all you pay us nothing until your claim is completely settled. Our fees are on a percentage basis from the settlement, not out of your pocket.